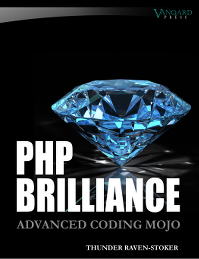 PHP Brilliance aims to put all of the right kind of development knowledge at your fingertips. Patterns, paradigms and principles that will help you create robust, maintainable, secure and efficient web applications in the web's most popular server side language, the awesome PHP. PHP Brilliance uses the "More Pub Time Principle" as the unifying theme for writing higher quality Enterprise Application Code. The book is scheduled for completion April 2016 but thanks to those awesome chaps over at leanpub, you can get early access to the ebook right now from just $14.00 (USD), saving more than 50% on the final price. And it's backed by LeanPub's 45 day money back guarantee. Five distinct sections to get your teeth into, with each one providing a thorough and in-depth examination of the topic to hand. A fresh look at the fundamentals and how we can use them to write bug free code. Examines the pros and cons of the more recent object oriented additions to the language. Get to grips with the all-important SOLID canon. Study each one in context with what we've already learnt. From MVC through SOA to APIs and Microservices: An in-depth consideration of the architectural choices facing Enterprise Application developers today. I've been writing web applications in PHP since 1998 (yes, in PHP3 at one time - tell me about it! ), leaving behind the headaches and frustrations of Perl syntax and Java compilation delays. More recently, I was the dev manager and chief architect at a dotcom incubator here in London, UK before setting off on this book writing journey. As well as architecting, coding and mentoring (and more often than I care to mention, "the one who broke the build"), I was also responsible for interviewing and hiring awesome developers. Developers that really knew their stuff. This book came about in response to interviewing a ton of candidates that didn't know their stuff. I wanted to find a way to put the right stuff into their heads. The result is a collection of linked and related essays on what I believe every top tier PHP developer should know. In other words, it's a guide to achieving PHP Brilliance. 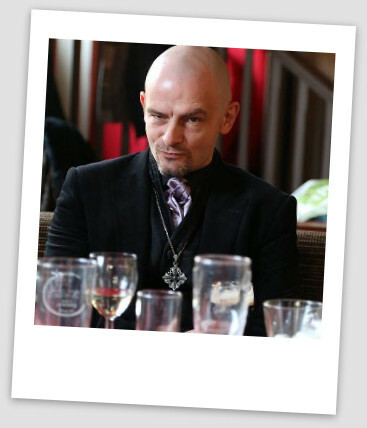 Some folks think I look like a magician. I don't know any tricks though, which is a bit rubbish. Head on over to leanpub and grab your copy at the wildly reduced price of $14 (USD). With over 340 pages already released, it's close to completion, which is when the price goes up. I'm currently crowdfunding on Indiegogo for the professional services needed to get a polished, high quality product on the shelves by April 2016.